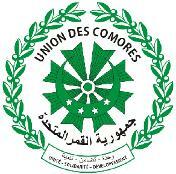 The Comoros are an archipelago of four islands and several islets located in the western Indian Ocean about 10 to 12 degrees south of the Equator and less than 200 miles off the East African coast. They are situated approximately halfway between the island of Madagascar and northern Mozambique. The archipelago is the result of volcanic action along a fissure in the seabed running west-northwest to east-southeast. The total area of the four islands is 785 square miles (2,034 square kilometers). Ngazidja is the largest and youngest island in the archipelago. It is located 188 miles from Mozambique. The island has an active volcano (Karthala) that rises to a height of 7,746 feet (2,361 meters) above sea level. Mwali, 28 miles south-southeast of Ngazidja, is the smallest of the islands with a central mountain range that is 2,556 feet (790 meters) above sea level. Ndzuwani, about 25 miles east of Mwali, has a 5,072 foot central peak (1,575 meters) above sea level. It also has several swift running streams that cascade down to long, sandy beaches. Mayotte (Maoré), the oldest of the islands is 44 miles southeast of Ndzuwani. The island is almost surrounded by a barrier reef and is fairly flat with slow meandering streams and mangrove swamps.